Yellow Xerox 113R00733 E Click Metered Cartridge. Capacity 6000 pages. Black Xerox 113R00734 E Click Metered Cartridge. Capacity 6000 pages. Xerox 115R00036 Fuser Unit. Capacity 100000 pages. Xerox 115R00056 Fuser Unit. Capacity 100000 pages. Xerox 3R96523 Ribbon Refills. Capacity 610 pages. Black Xerox 6R589 Toner Cartridge. Capacity 7000 pages. Black Xerox 6R856 Toner Cartridge. Capacity 10000 pages. Cyan Xerox 6R857 Toner Cartridge. Capacity 4000 pages. Magenta Xerox 6R858 Toner Cartridge. Capacity 4000 pages. Yellow Xerox 6R859 Toner Cartridge. Capacity 4000 pages. 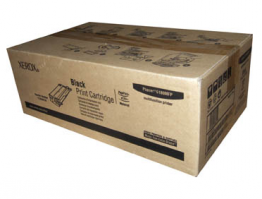 Black Xerox 6R90127 Toner Cartridge. Capacity 10000 pages. Black Xerox 6R90168 Toner Cartridge. Capacity 8000 pages.